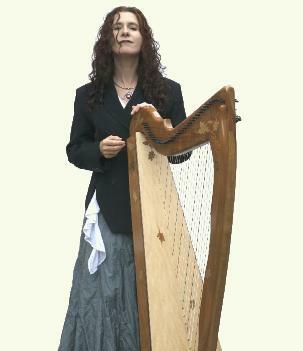 "The most interesting & original player of our Irish harp today"
To keep up to date with Máire, simply send us an email with your name, address and email details, under the subject line "Please add my details to Máire's mailing list". You'll receive news of live dates and new recordings - as a soloist or as a duo with Chris Newman, with the Casey Sisters and with the Heartstring Quartet - and benefit from occasional special promotions. We won't bombard you! Our newsletters are sent out only occasionally, and we assure you that we won't share your information with any third party. We look after your data very carefully. If at any stage you'd like to be removed from the list you can do so simply by clicking the 'unsubscribe link' on your mailings. - or just go to the Old Bridge Music online shop.